However, Pepsi’s recent commercial starring Kendall Jenner (of the Kardashian clan) was a fiasco. And, the backlash was fast and furious, because it preyed on racial and ethnic stereotypes: Asian as a classical musician; Muslim woman wearing a hijab; black males as reggae and hip-hop artists; white riot gear police holding fort against a multi-ethnic crowd. And, of course, the reenactment of the white hero/ rescuer trope. 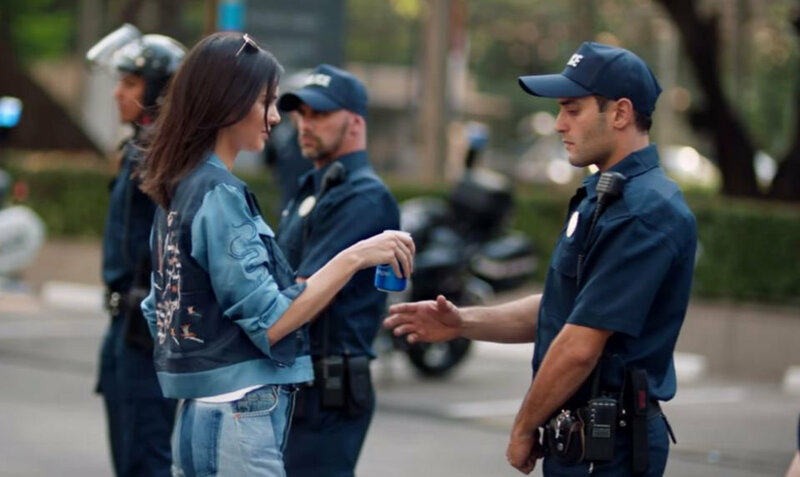 Jenner thwarts a possible riot by simply offering a cop a Pepsi. However, before the denouement Jenner removes her blonde wig to give to a black woman because natural hair – any Eurocentric fashion- conscious female knows- won’t do. Front and center of the commercial’s narrative arch is the misappropriation of the iconic and viral photo of Ieshia Evans, (left). 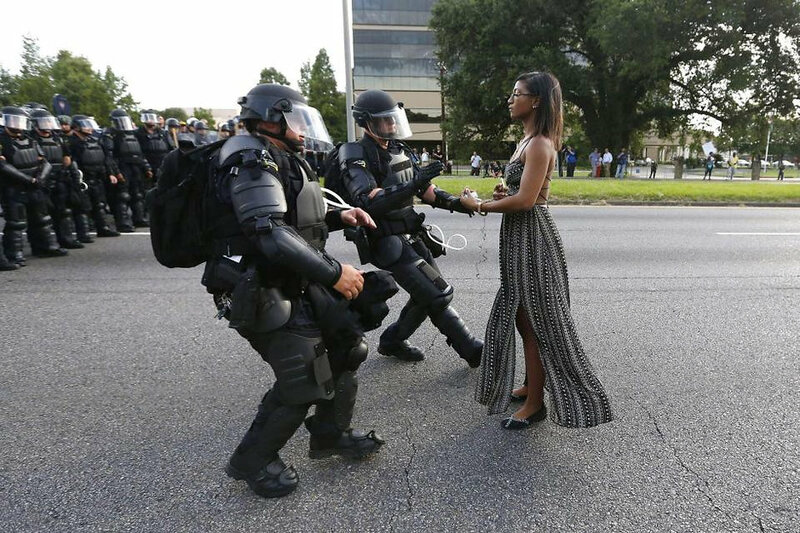 Evans is the 28-year-old African American mother who in 2016 during a Black Lives Matter protest in Baton Rouge stunned the nation as well as the world when she silently walked to the front line of heavily-armed police and offered her hands to be arrested. 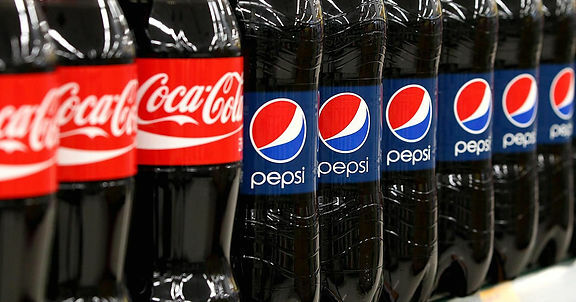 With pushback from healthcare professionals, activists and environmentalists about marketing these drinks, like Pepsi, to economically distressed areas where fast-food chains also disproportionately target African American and Latino populations, especially our children, the plea has fallen on deaf ears. There are a lot of cultural and socioeconomic barriers and the inundation of these ads are one of them. For example, with both former NYC mayor Michael Bloomberg of NYC and former First Lady Michelle Obama campaigns against unhealthy sugary drinks to combat childhood obesity and Type 2 diabetes, Coke and Pepsi, notwithstanding, are the beverages of choice among both groups, exceeding water. During black and Latino prime time TV shows, especially on networks like Black Entertainment Television (BET) and the American Spanish-language Telemundo, Coke and Pepsi ads run disproportionally higher than on general prime TV show- 13 percent of their ads on those networks compared to 2 percent on the others. Published in the Houston Rainbow Herald, April 18, 2017.